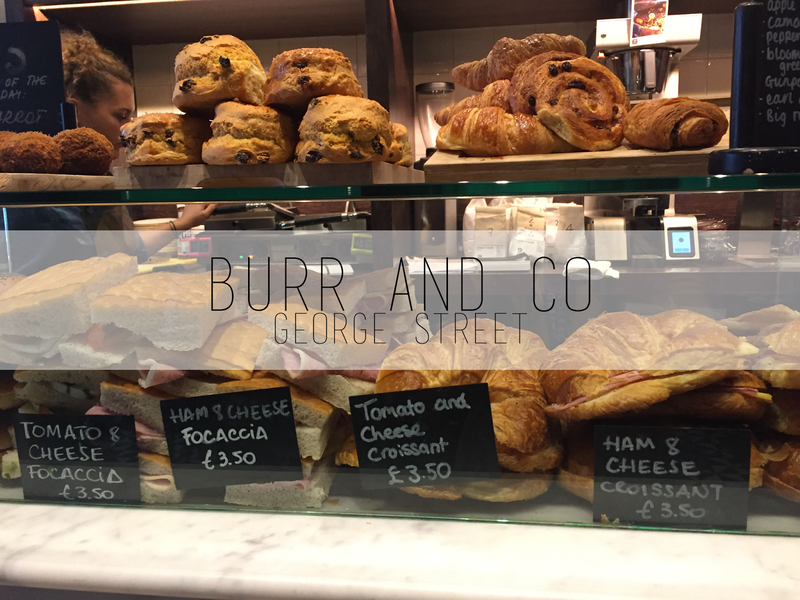 If you're looking for the perfect place to stop for a coffee and cake before a day of shopping, look no further than Burr & Co, conveniently located on George Street. It is one of my favourite spots in the city centre – I quite often, and completely on purpose, 'forget' to eat breakfast at home just so I have an excuse to grab a cheeky cheese and ham croissant and a tea from here on my way to work. I'm not a coffee drinker (I know, shock horror) but my colleagues will attest to how great the coffee is here. Their beans are ethically sourced and freshly roasted every week. Their high quality beans come from Caravan Coffee which was voted Best Coffee by Observer Food Monthly, and Burr & Co work with them directly to create their own George Street blend. While I've never cared for the taste of coffee, I love the smell and you can smell just how rich the coffee is the minute you step foot in Burr & Co. They also cater really well to those on dairy free diets offering almond, brown rice and coconut milks. 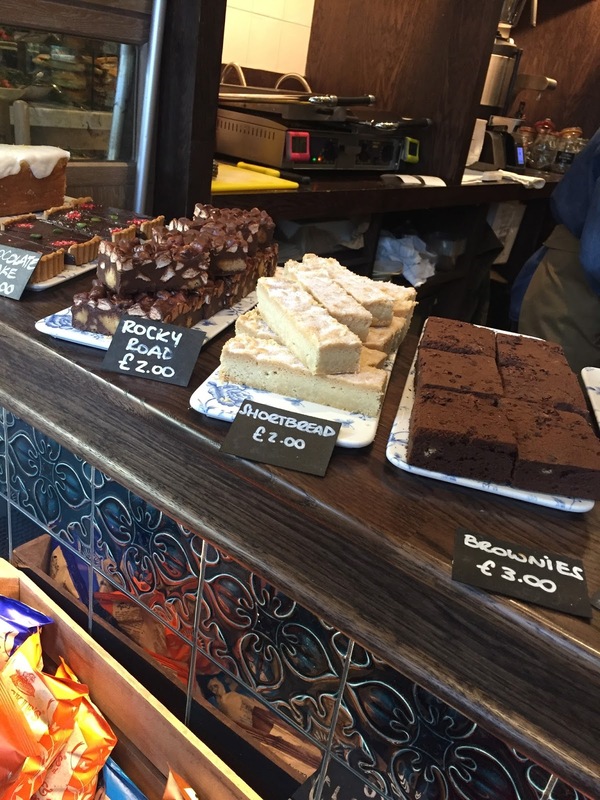 If like me coffee isn't your thing, they offer a great selection of teas – I personally love the apple and cranberry – as well as Coco Chocolatier Edinburgh Hot Chocolate. Plus they have an excellent selection of savoury and sweet food, ideal for breakfast, lunch or a quick bite. One of my colleagues and I are addicted to their toasted cheese and ham croissants – and this is coming from a girl who grew up in France and has a very high standard for her croissants (they are perfectly flaky and the sweetness contrasts perfectly with the salty filling). They also have a great selection of cakes, focaccia sandwiches, bagels, salads, soups and more that changes daily. The brownie is one of my favourite sweet treats – it is deliciously rich and decadent. In my opinion, the sign of a great coffee shop atmosphere is when you'll happily sit in by yourself with a drink and a cake to nibble on and catch up on a good book. There's a chilled and relaxed atmosphere and the staff are super friendly every time I go in, whether it's to sit in or to grab some food to go. There's also tables with sockets to recharge your devices and free WIFI so it's a great place to get some work done, while enjoying a good drink. Whenever people ask me what my favourite coffee shop is in the city centre I always direct them towards Burr & Co so definitely stop by soon on your next trip into town!